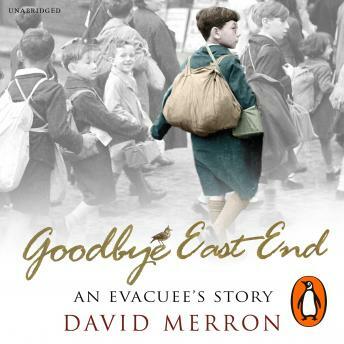 As Hitler's bombs threatened London during World War Two, eight-year-old David Merron was removed from his family and close-knit Jewish community in the East End and evacuated to the safety of the English countryside. Placed into the car of strangers, life was sometimes unpredictable and lonely. But, with time, the rural world became an exciting adventure playground in which he flourished. Set against a dramatic wartime backdrop, Goodbye East End is about the conflict between a London boy's unexpected love of the countryside and his guilt about not missing home as much as he might. It's the moving story of a childhood experience that changed a young boy's life forever.